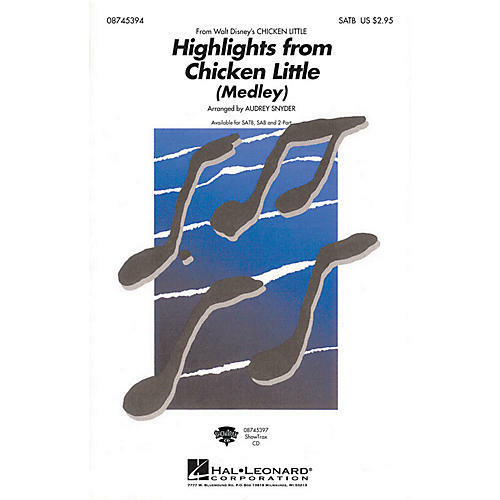 The epic tale of Walt Disney Picture's Chicken Little introduced several classic pop songs to a brand new generation. Could it be poultry in motion? This 5 minute medley includes: Ain't No Mountain High Enough, All I Know, Don't Go Breaking My Heart, One Little Slip, Stir It Up and We Are The ChampionsAvailable separately: SATB, SAB, 2-Part and ShowTrax CD. Performance Time: Approx. 6:45.